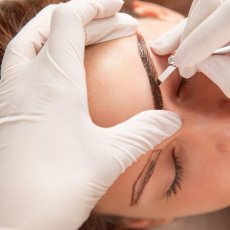 In other methods of permanent makeup skin punctures are made one next to the other, which results in eyebrows looking like blots. 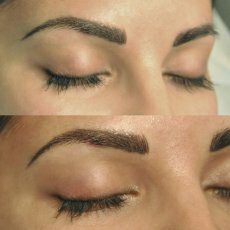 Using our method allows to obtain the most natural image of eyebrows. 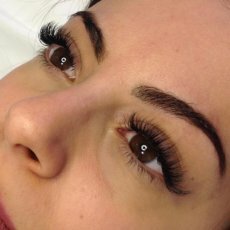 Using the feathering method allows reconstructing and supplementing eyebrow hair (every single hair obtained in this manner is natural, very thin and long-lasting). Perfect for over plucked eyebrows, after chemo or with alopecia problem. 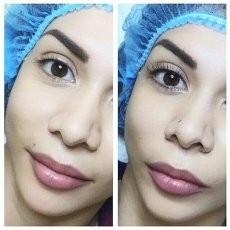 The results are so perfect that it is hard to distinguish our makeup from natural eyebrows. Permanent makeup on the skin lasts about three years. 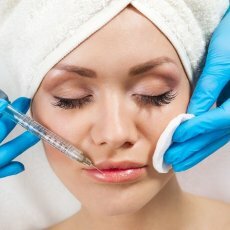 Effects on durability of makeup, however, has many factors of which the most important customers find the immune system. 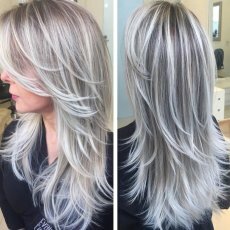 Pigment is a mini-implant, in whose presence the body may react differently. 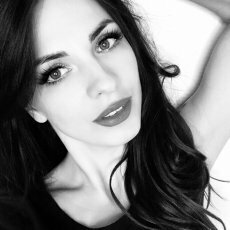 Durability makeup also reduce all factors that accelerate the process of cellular renewal (eg. frequent exposition of the skin to sunlight). 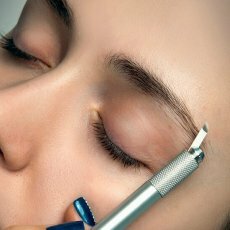 For clients in older age, the cells of the regeneration process is slower, thanks to makeup lasts longer. 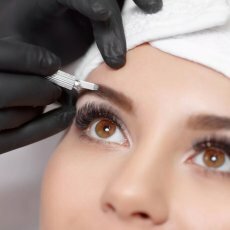 Permanent makeup is made with our method is extremely comfortable and gives the maximum satisfaction and the greatest possible results. Much cheaper than the salon prices.Please note, the promotion last till the end of this month. Mobile service is also available for local. Should you have any enquiry, please contact us, we will be pleased to answer your question.